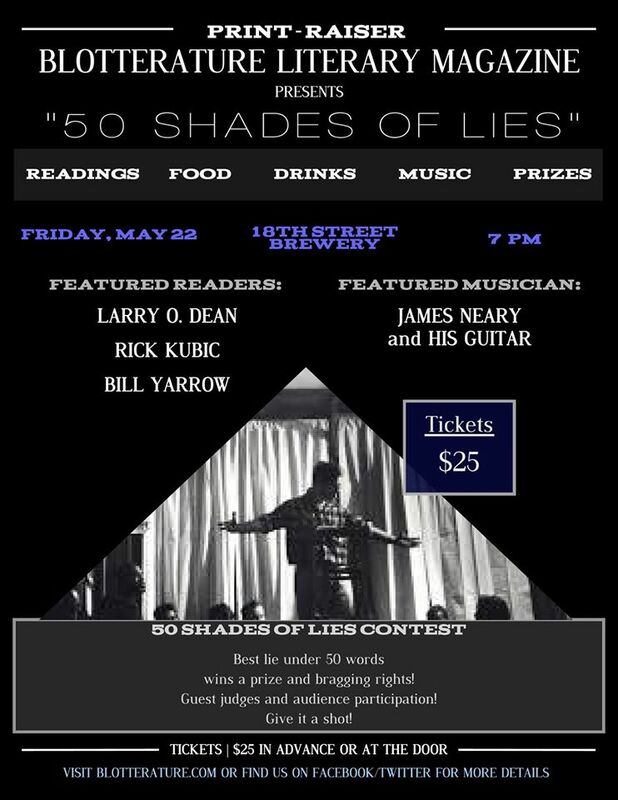 Blot’s 50 Shades of Lies Print-raiser! A fundraiser to help Blotterature Literary Magazine fund their first print issue–a quality issue! We give our all to support the literary community and hope you will join us for this fun event!